Newly crowned International Boxing Federation (IBF) Junior Bantamweight champion Jerwin Ancajas receives a total of five hundred thousand pesos from the People Champ Manny Pacquiao. Ancajas won the IBF title decisively against the former world champion McJoe Arroyo last September 3, 2016 via unanimous decision. Despite being an underdog and only receives roughly P173,000 for that Championship bout the Filipino champion deservely receives more than what he thought from the legend Pacquiao. McJoe Arroyo receives almost 2 million pesos even though he lost the fight. 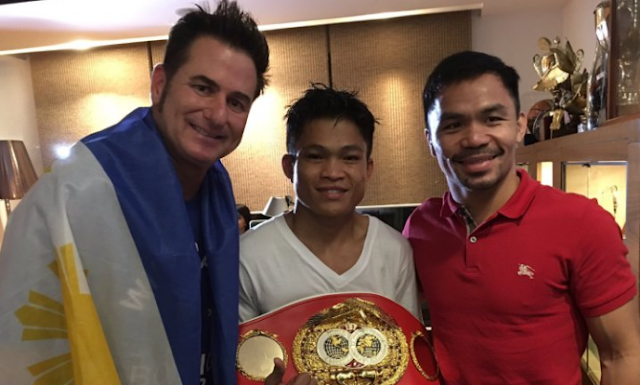 Jerwin Ancajas is handled by MP Promotions who currently owned by Manny Pacquiao.